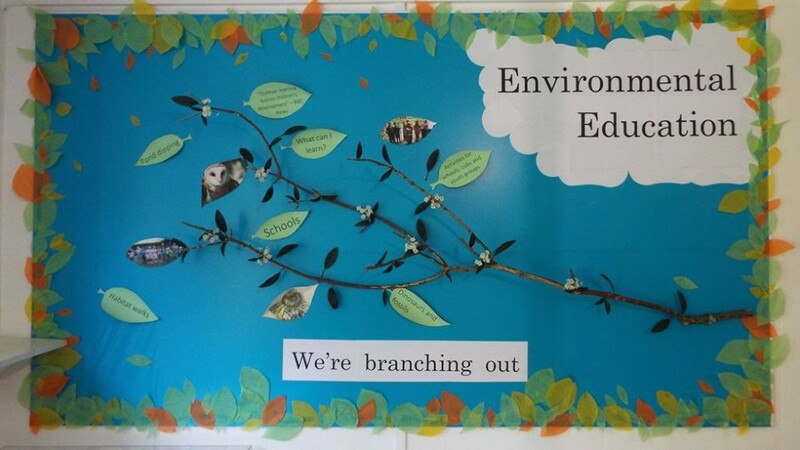 We believe that Conservation and Education are inextricably linked. We therefore offer educational services that are open, not only to schools, but social groups and vulnerable adult groups, so as to extend our educational reach within the community. Monkton Nature Reserve offers a range of educational activities set around the Reserve, and also tailored external visits to schools, clubs and societies. For schools, learning outside the classroom has been shown to have huge benefits for pupils of all ages, helping them remember experiences and lessons that happened in outdoor learning environments. It also helps young people who do not tend to thrive with traditional lessons, such as those from disadvantaged backgrounds or with Special Educational Needs. The Reserve itself hosts 16 acres of natural grassland and woodland with an array of biodiversity and our Field Study Centre holds museum collections of natural history, geology and fossil exhibits. Our sessions can range from adaptation, pond dipping, habitats, birds of prey, astronomy and dinosaur talks. Where possible, we give visitors practical sessions to aid learning with hands-on sessions. We invite teachers and group organisers for a free visit on site to meet our education officer and discuss your requirements for the day. You can also phone us on 01843 822666 or email us at education@monkton-reserve.org to find out more about what we can offer. In spite of the benefits of outdoors learning, surveys have suggested that the largest barrier in external educational visits for schools is the cost of transportation. With this in mind, Monkton Nature Reserve has started to offer a series of talks and workshops that can be held in the classroom, as well as during shorter school assemblies, that can be used to inspire children to get involved in nature. Where possible, we use resources from the Reserve, including museum exhibits. Click Contact for contact details. Please click here for some FAQ’s on our education packages. If you are interested in volunteering at the Reserve, perhaps with our educational activities, then please go to our Volunteering Positions page and see what opportunities we currently have. You will also find a link to a volunteering form, which you can fill in online, if there are any roles you are interested in.